South African-based artist Yung Tyran is back with some new visuals off his Golden Child EP. Like 2 Party gets some visual treatment. If you're a stan of this blog you will remember that I did an article for the song some time in 2016 here. 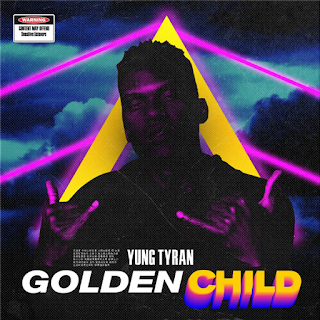 In case you have been sleeping on Yung Tyran the Golden Child EP is an introduction to his new fanbase including bangers like For The Night, Round 2, Stripes, the award-winning Brenda Fassie, We Don't Play, Like 2 Party and Flashin'. Stream the Like 2 Party music video below and download Golden Child EP after that.